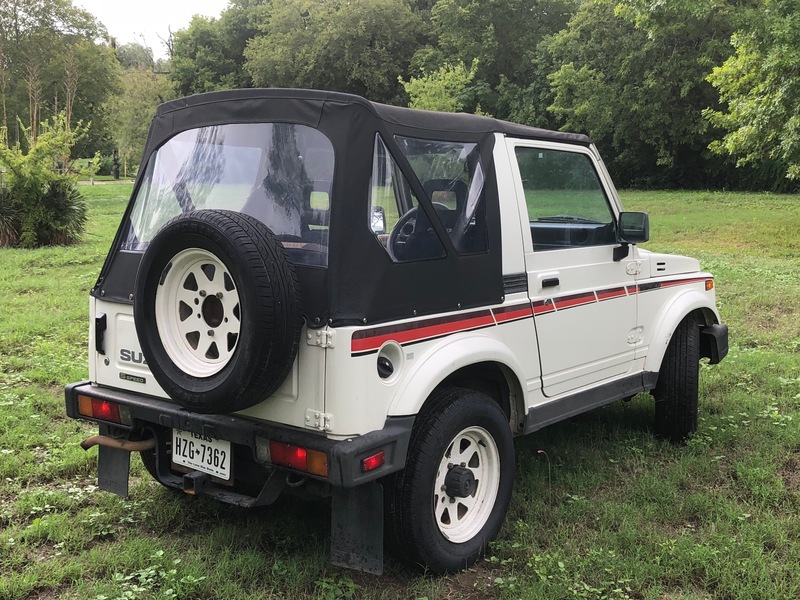 Here is a very nice surviving 1987 Suzuki Samurai JX. 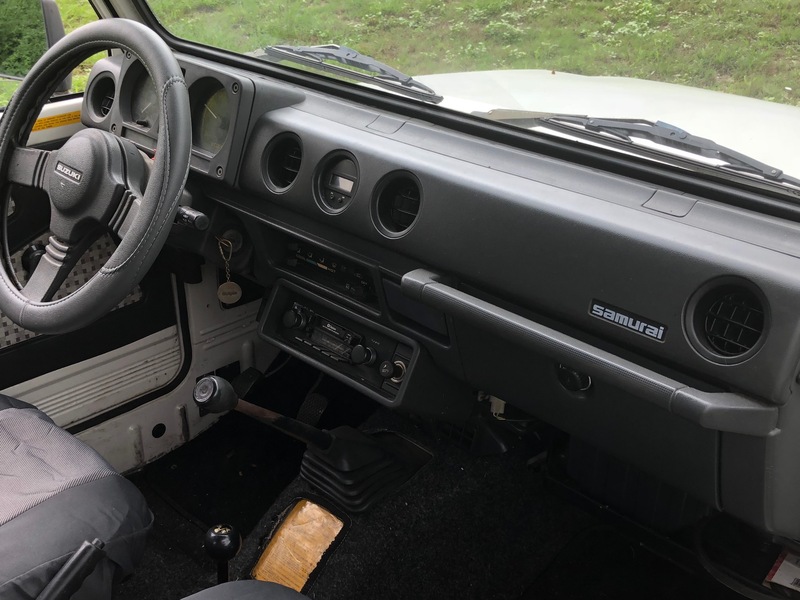 The jeep is perfect for a short commute, grocery getter, lake or beach house or new driver. 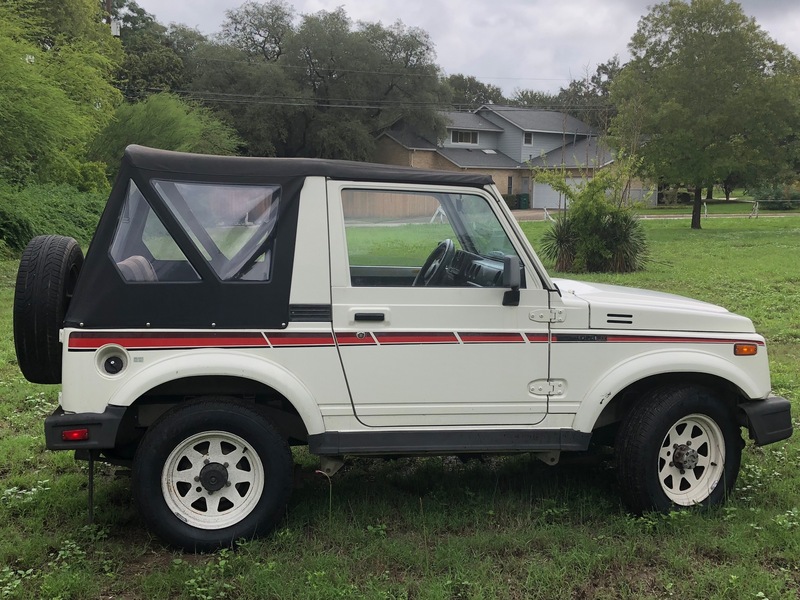 It still sports its original paint and 80’s graphics and interior. 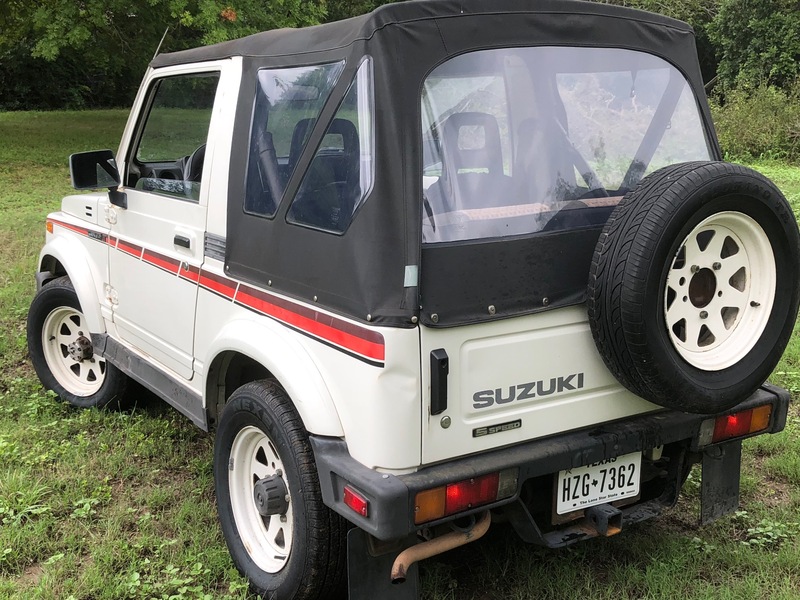 It has only 104,000 original miles which is very low for 1987. 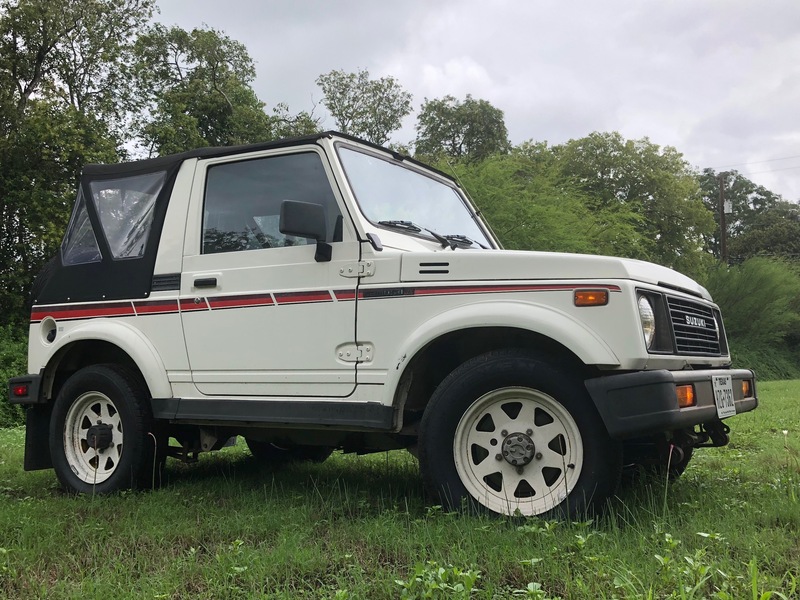 The Samurai runs and drives as it should and very reliable. It also has rare factory air conditioning, its all there and hooked up, but not currently working. I think its a fuse because the blower motor is not coming on. 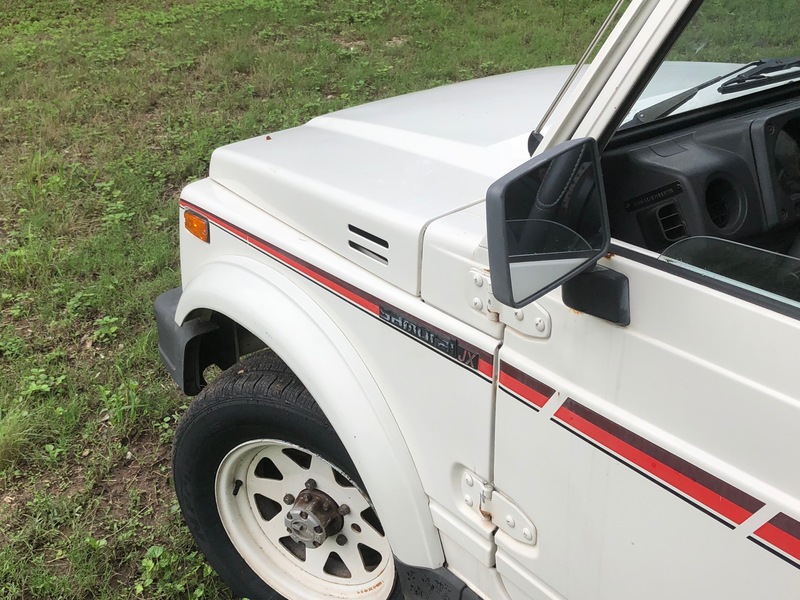 The frontend is tight, four-wheel drive works well and the jeep has brand new tires. All the lights and gauges work, wipers too! Its a four cylinder engine with 5 speed transmission. 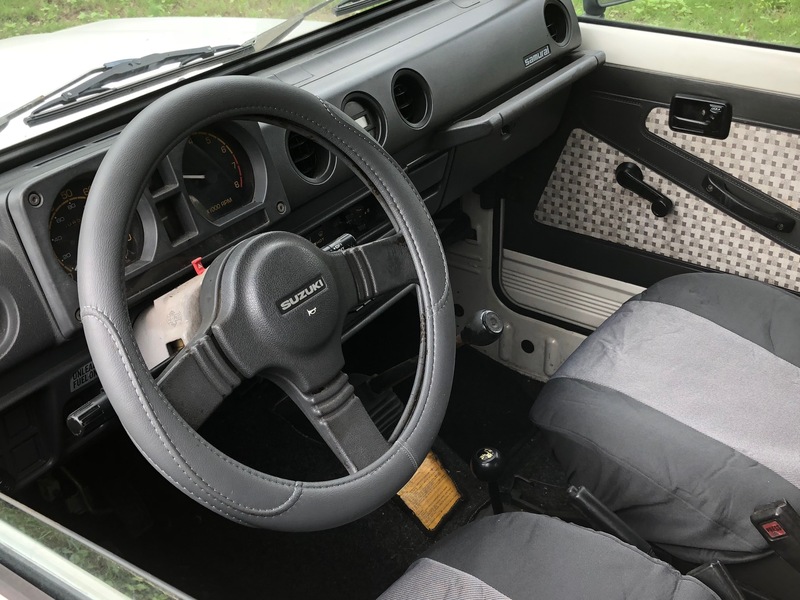 The interior is all original with seat covers. Originals have cracked up side vinyl. The truck has never been near salt or snow, so its very solid. Please call me for more details. Thanks!